With rumors circling like eagles over their easy prey that Seedorf’s tenure is already in question, we head to Rome to meet our predators. Ahead of us in the table, revitalized under Eddie Reja, and probably hungry for an easy kill, we probably resemble mice more than men right now. As much as I still believe in our boys, the bigger question is do they believe in themselves? Because if they don’t, then we are certainly just eagle bait. What would even be the point of letting him go now? 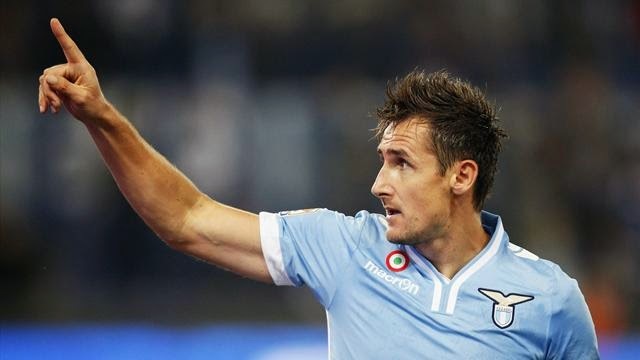 At the end of October Lazio came to the San Siro and battled our ineffective team to a 1-1 draw. But that was while they were under Petkovic. At the beginning of January, Lotito brought back Eddie Reja, and since then the Eagles have been flying. They are currently in 7th place, with a league record of 11W, 8D, and 9L. Since Reja has returned, Lazio have won 6 of their 11 games, with a couple of high profile draws, too, to Juve and Roma. And now that they faltered out of the Europa League, they can focus fully on the league. Or can they? Lazio fans have been very unhappy with Lotito this season. Not that this is really news, he’s got a bit of a crazy track record. But now they are so unhappy with him that they are boycotting the games. Their last home game two weeks ago had only about 5,000 fans. They are still supposed to boycott this week, despite several high profile players asking them to return to the Olimpico and support them, so who knows what kind of a crowd there will be. If the fans stay away, some of their home advantage may be neutralized. But Milan will need to neutralize more than just the crowd to take away a result. Reja may be missing Crecco, Alfaro, Ederson, Postiga, and Dias to injury, but he’s got a solid squad otherwise. In their 2-0 away win to Cagliari last week, Reja lined up Marchetti; Biava, Radu, Konko, Movaretti; Biglia, Gonzalez, Ledesma; Klose, Keita, and Lulic. I would expect a similar lineup against us on Sunday. Milan have had their own problems on and off the pitch. With four straight losses in all competitions, that is the worst string of losses we’ve had in about 12 years, I think. Off the pitch, the vultures are circling, with everyone weighing in on the misfortunes and misdeeds while things are going so poorly for us. 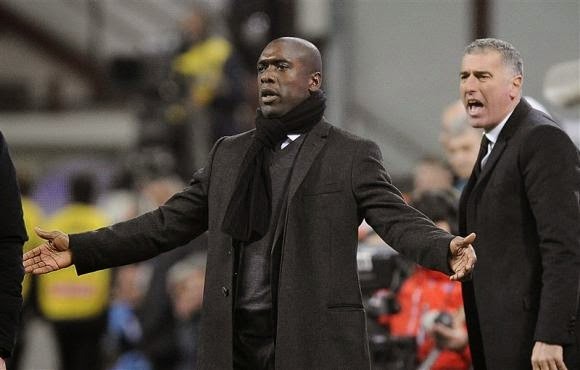 Rumors that Seedorf’s tenure may come to a very early end continue to build, despite him being confirmed by Galliani as the coach for next year just last week. With Lazio and Fiorentina coming up, that’s not going to be a very fair assessment of what Seedorf can do. Will we start with these two protagonists? Additionally, the injury list has grown a bit again, with Montolivo, Abate, Bonera, Petagna, Cristante, and El Shaarawy all likely to miss out. Worse still, after the red card last week, Abbiati will be suspended for this match as well. So Seedorf will have to not only choose his squad well, but also motivate them after so many losses in a row, facing a team who is above us in the table. Not an easy task for an experienced coach. With rumors of him starting Balotelli and Pazzini together after repeatedly saying he wouldn’t, maybe things are as desperate as the papers would have us believe. However, even if this season is considered over for Milan, we still need to fight like Lions. Going to the Olimpico and coming away with a win is an increasingly difficult challenge, but not one that is impossible. I believe in our boys and I believe in Milan. Let’s leave those Eagles hungry… or something. This match is NOT being shown LIVE in the U.S.
Milan-Chievo Preview: Can Donkeys Actually Fly?